In this month’s early literacy blog, Brooke Newberry, Early Literacy Librarian at La Crosse Public Library, discusses the 3 Ps of library outreach, a formula to help you plan your next outreach event and partner with community service providers for maximum impact. Outreach is a vital part of librarianship that must not be overlooked. 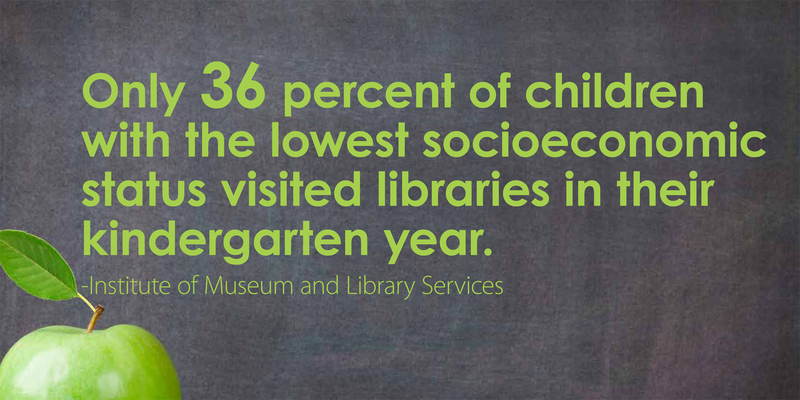 According to a recent Institute of Museum and Library Services (IMLS) study, “only 36 percent of children with the lowest socioeconomic status visited libraries in their kindergarten year, compared to 66 percent of children in the highest” (IMLS, 2013). Through outreach, librarians have the potential to increase this number by reaching caregivers before their children enter kindergarten and raising awareness of the great services the library offers. The possibilities for outreach in communities are endless, but getting a clear picture of what outreach should look like can be difficult. Before going into any outreach event, it is important to consider the “Three Ps”: Purpose, Publicity and Programming. What is the purpose for your outreach event? Are you trying to increase circulation? Do you want to bring new families into the building? Do you need to see an increase in storytime attendance to be able to continue programming? All of these are valid reasons to attempt outreach, and they deserve to be acknowledged. Attending outreach events with a purpose in mind helps you know what to prepare for and allows you to develop talking points to address with your audience. If your goal is to increase circulation at the library, then asking people at community events if they would like to sign up for a library card is a reasonable approach. Ideally you would have the capability to make library cards remotely, but if this is not possible, handing out library card applications is a step in the right direction. For example, at my library, the La Crosse Public Library in La Crosse, Wis., we recently partnered with the local performing arts center for a production of Wayside School Is Falling Down. In exchange for attendees bringing their library card, they received a dollar off admission. Library staff was on hand to sign up anyone who needed a library card and to make sure attendees knew about all of the upcoming programs we hold for school-age children. If your goal is to bring new or at-risk families into the library, then consider evaluating your library’s procedure for patrons visiting your library for the first time. Is it simple for them to obtain a library card if they are in transient housing? Is the library willing to work with patrons if they have old fines on their cards? Can non-permanent guardians, such as grandparents, sign a child up for a card? Is a staff member available to offer tours to new patrons when they visit the library for the first time? Once staff have worked through these scenarios and found ways to accommodate special circumstances, it can be much easier to convince new families that your library is a welcoming space. How will you promote your library at the outreach event? At the La Crosse Public Library, everything that we hand out, from lanyards to tote bags, is emblazoned with the library’s logo. Specifically for youth service outreach events, we make flyers available that advertise all of our upcoming programs. Since libraries offer such a variety of programs for all ages, it is important for potential library users to know programs for all ages — birth to 100+ — are happening at the library! The La Crosse Public Library has forged a partnership with two local hospitals in the area, as well. In return for keeping waiting areas stocked with gently used books, the hospitals allow the library to advertise library services in their “new baby packet,” which gets sent home with every new mom. 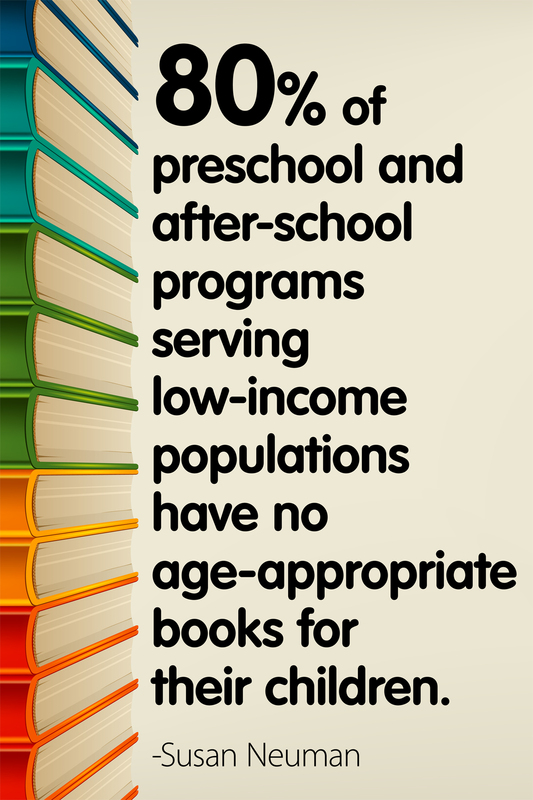 This packet also includes information about Baby Book Bees, our reading initiative specifically targeted for infants younger than 12 months of age. Our library also has various flyers posted on doctors’ office doors promoting the 1,000 Books Before Kindergarten reading initiative. Where will you perform your outreach event? Start by exploring different organizations in the area. Many schools have family literacy nights, which are a great fit for library outreach. Look to local hospitals or parenting resource centers for informal groups for new caregivers or parenting classes. Is there a local organization that you specifically want to reach? So many organizations would love to visit the library but cannot because of financial or liability restraints, so consider going directly to them! The La Crosse Public Library recently partnered with The Parenting Place, a resource center for parents and caregivers, and Hope Academy, where teen parents are given the opportunity to complete a high school education while raising a healthy child. We made monthly visits to the school site and our Early Literacy Librarian facilitated storytimes full of parent tips for promoting early literacy skills. The main goal of the Hope Academy partnership was to build a relationship with teen mothers and welcome them to the library. The library provided each parent with a new library card free of fines, facilitated a library tour and signed them up for either our 1,000 Books Before Kindergarten program or Baby Book Bees. Through visits to the library, in conjunction with site visits to the school, this partnership was a success. The teen parents now attend weekly family storytimes and are seen in the library on a regular basis. Without the initial contact and outreach efforts, the library could have missed out on reaching these valuable new library users. If your library is short on staff time or literacy events, another available option is a book delivery service. 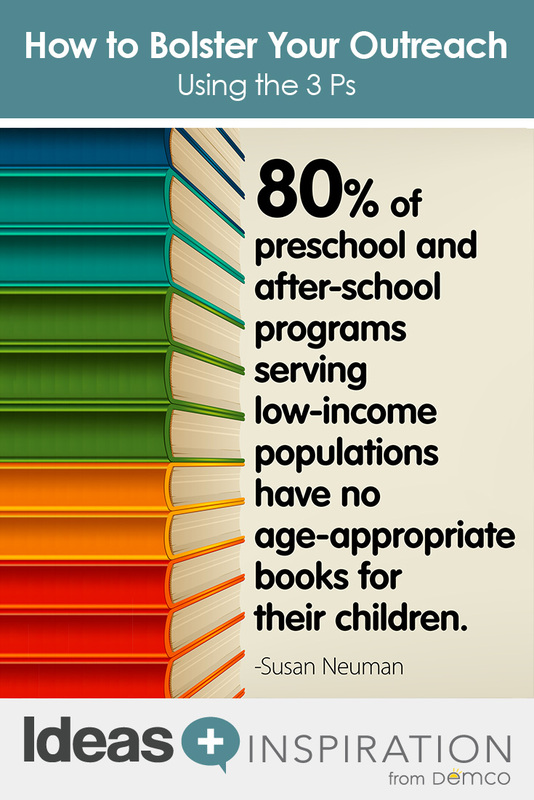 According to Susan Neuman in her research, “80% of preschool and after-school programs serving low-income populations have no age-appropriate books for their children” (Neuman, 2001). 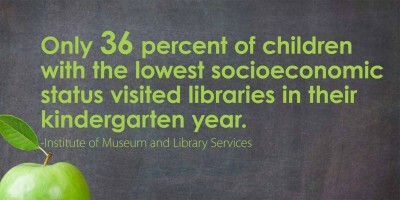 This is a statistic on which the library can have an immediate positive effect. The La Crosse Public Library has a thriving Books2Go program, where bags of books are delivered to daycare and Headstart locations monthly. The response from this program has been overwhelming, and it is a helpful alternative to providing monthly storytime outreach events at numerous locations. Outreach is a critical component to any library’s service model. Reaching out beyond traditional library users is essential to creating a space where the entire community feels welcomed and involved. Before planning your next outreach event, use this planning template to help you consider the “Three Ps” and how outreach efforts will benefit the library as a whole. IMLS Office of Strategic Partnerships. “Growing Young Minds: How Museums and Libraries Create Lifelong Learners.” Institute of Museum and Library Services, 2013. Neuman, Susan B., et al. 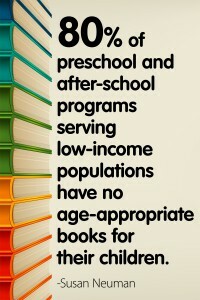 Access for All: Closing the Book Gap for Children in Early Education. Newark, DE: International Reading Association, 2001, p. 3. Brooke is the Early Literacy Librarian at La Crosse Public Library in La Crosse, WI. She blogs about early literacy at readingwithred.blogspot.com. You can find Brooke on Twitter @be_newberry.